According to an article published Wednesday on CNN.com, “there are two oil pulling techniques: kavala and gandusa. With kavala, you fill your mouth with liquid and hold it there for a couple of minutes before swirling it around the mouth and spitting it out. The process shouldn’t exceed more than three or four minutes; it’s repeated at least two or three times. Gandusa is the technique of holding the liquid still in the mouth for three to five minutes. The liquid is then spit out and the process is repeated. For daily oral hygiene, [Dr. Amala Guha, assistant professor of immunology and medicine at the University of Connecticut Health Center and the founding president of The International Society for Ayurveda and Health] recommends using coconut or sesame oil, which she says have mild abrasive powers and more healing benefits than other oils (and are less harmful). 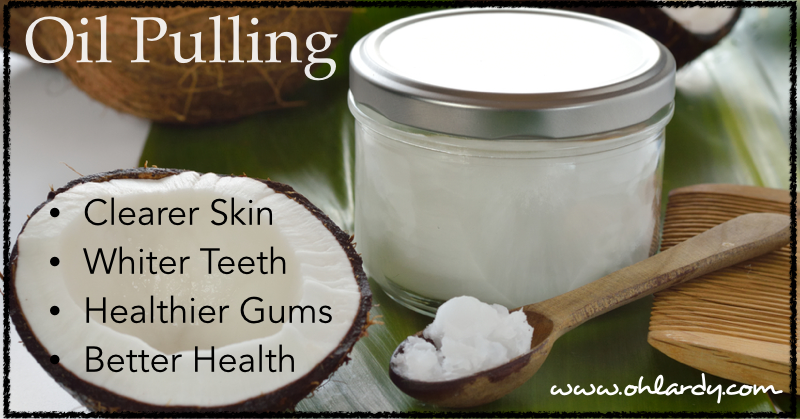 Bottom line: If you are interested in giving oil pulling a try, it is important to remember that it is a mouth rinsing technique, which does NOT replace regular brushing and flossing! This entry was posted in News, Nutrition, Stuff We Dig, Vegan and tagged Coconut Oil, dental hygiene, oil pulling. Bookmark the permalink.